Groundbreaking is expected in late 2015. By Angelly Carrión·	 12/10/2014, 9:36 a.m.
Photo via Temple University’s News Center. Indeed, the building is being designed by Snøhetta, “an architectural firm renowned for its innovative library designs,” and Philly-based Stantec. 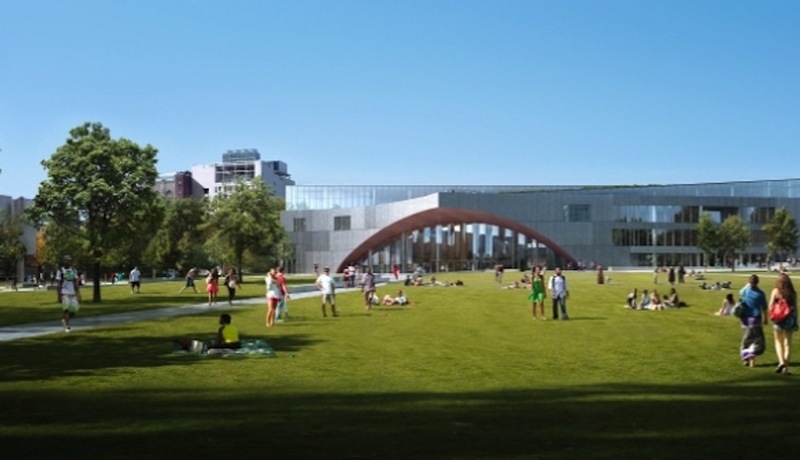 Construction on the library, which will be funded with $140 million in state aid and $50 million in university funds, will begin late next year and conclude in 2018, the university said. The library will be bounded by Polett Walk to the south, Liacouras Walk to the west, Norris Street to the north and a new large green space planned for the east. The new construction will replace Paley Library, which is set to become the school’s welcome center.